A Kaduna Chief Magistrates’ Court on Monday struck out a suit instituted by the police against a journalist in Kaduna accused of incitement. The police had dragged Mr Midat Joseph of Leadership newspaper and one Yayock Eusebiuf to the court on a three-count charge of criminal conspiracy, inciting disturbance and injurious falsehood. Joseph was arrested on April 19, 2017 and detained by the police over a comment on Whatsapp social platform group chat where he had contributed to a conversation. 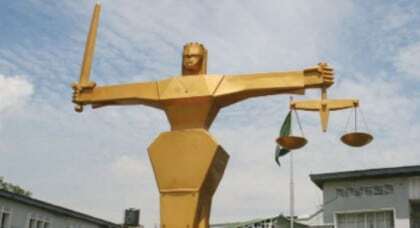 The two were subsequently arraigned before the chief magistrate on April 21. They had pleaded not guilty to the charges, but denied the three-count charge and the Chief Magistrate, Mr Emmanuel Bello subsequently granted them bail and adjourned the case to July 31. When the case came up, however, the prosecution counsel did not appear for the second time since the case began. Counsel to Joseph, James Kanyip, therefore, urged the court to dismiss the case in view of the lack of interest shown by the prosecution, citing section 165 of criminal procedure law of Kaduna State. In his ruling, the chief magistrate struck out the suit for lack of diligent prosecution.